At Hounslow Council’s Cabinet (Tuesday, 22 January) councillors agreed a recommendation to invest £525k, as a defined two-year programme, to develop a new Early Help Hub. This will run from July 2019 to June 2021. 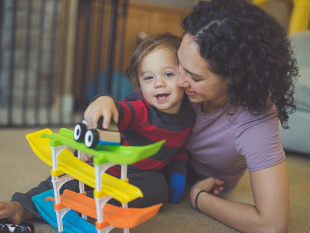 Early help services provide families experiencing difficulties with the right help at the right time in a proactive way, before their problems escalate and become harder to resolve. With targeted support, families are able to deal with the emerging difficulties they face, such as domestic abuse, poor mental health, family conflict and substance misuse. The Hub will help to ensure that more families have access to services as soon as they need them and that more families are offered effective help at the earliest opportunity. The report put before Cabinet outlined several options for the future delivery of this service. It was agreed that the Hub model would support all services which deliver early help to work as a single system rather than as individual agencies, with resources coordinated to achieve more impact. Councillor Tom Bruce, Cabinet Member for Education, Children and Youth Services, Hounslow Council, said: “Providing early help is more effective in promoting the welfare of children, young people and their families than reacting later. “The key aim is that organisations will work together to ensure children, young people and families have access to information and advice about relevant early support. The Hub will act as the borough’s strategic powerhouse for driving prevention work at the earliest possible stage and will provide intensive input for change.